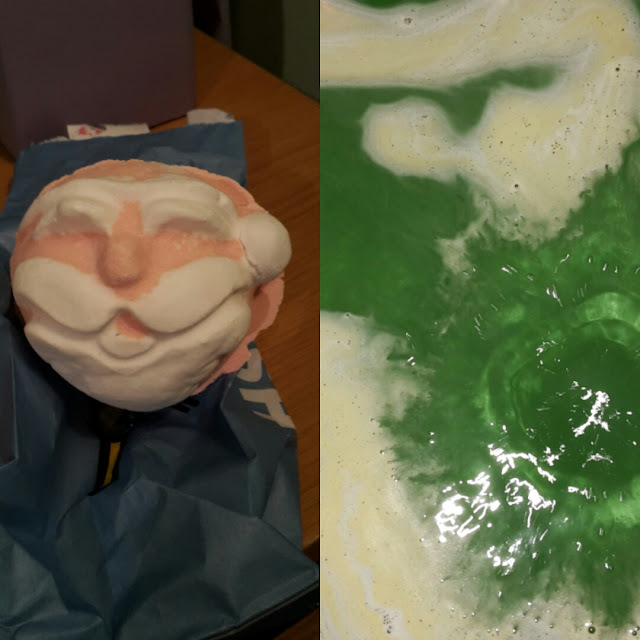 I felt like I needed abit of a pick-me-up after a long week so I headed over to Lush to pick up a christmas themed bathbomb to put me back in the festive spirit. I wasn't sure what colour this was going to turn my bath. At first it didn't seem to be doing anything other than turning the water a foamy white. 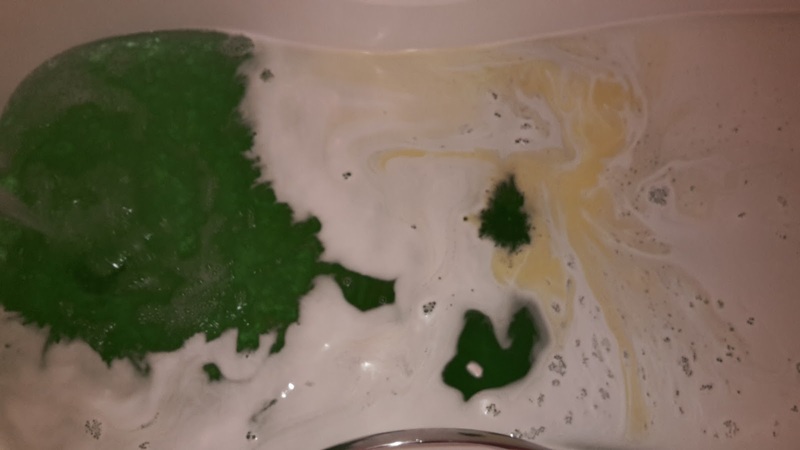 Then eventually the water slowly started turning green until the whole bath turned a festive tree green colour with some yellow flecks. Overall my thoughts on this one is while the scent is not overly festive it is so sweet smelling that I love it. I am also a fan of the green colour however I was hoping it was going to go red as well. The two most festive colours together. I would however repurchase this it leaves your skin soft and sweet smelling.